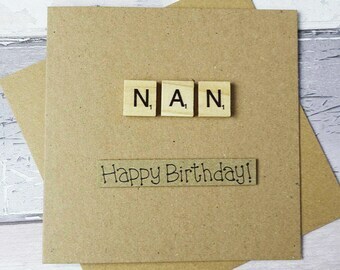 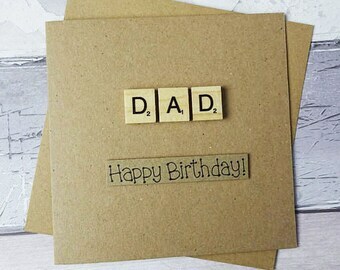 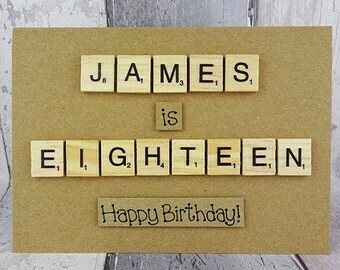 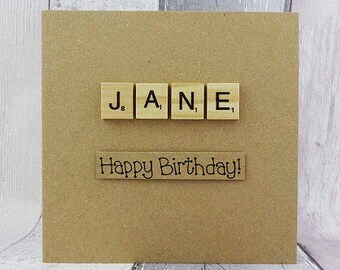 This handmade personalised Scrabble card features Scrabble alphabet tiles spelling out: CHRIS (or the name of your choice). 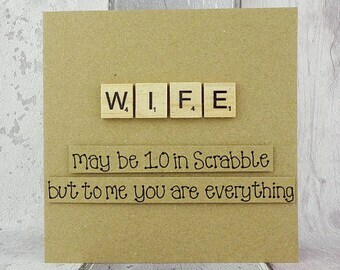 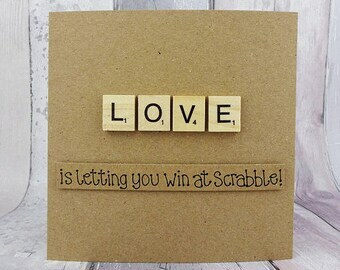 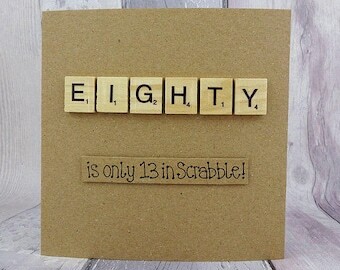 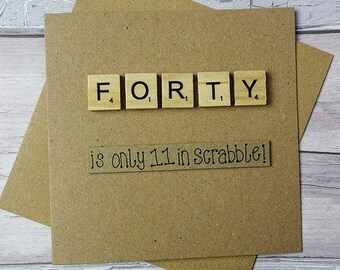 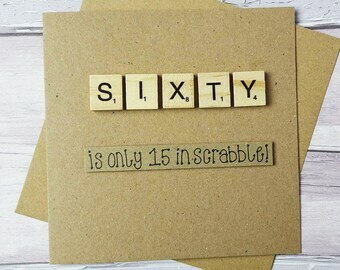 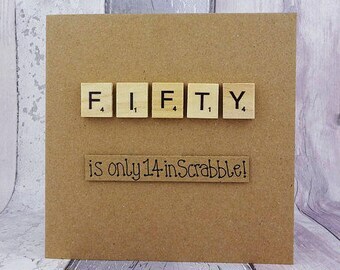 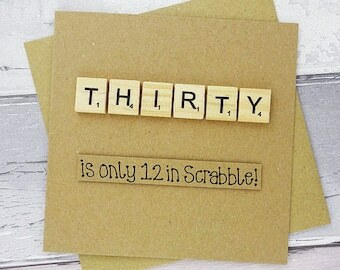 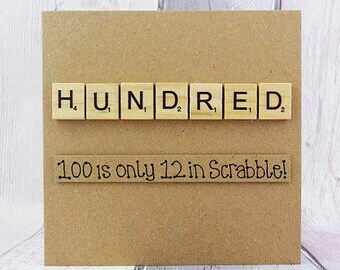 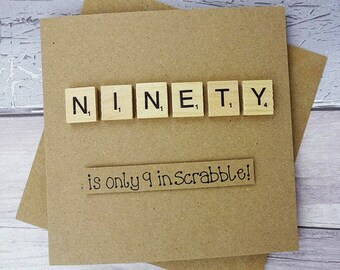 This would be perfect for a Scrabble fan on their birthday, on a special anniversary or for Valentine's Day. 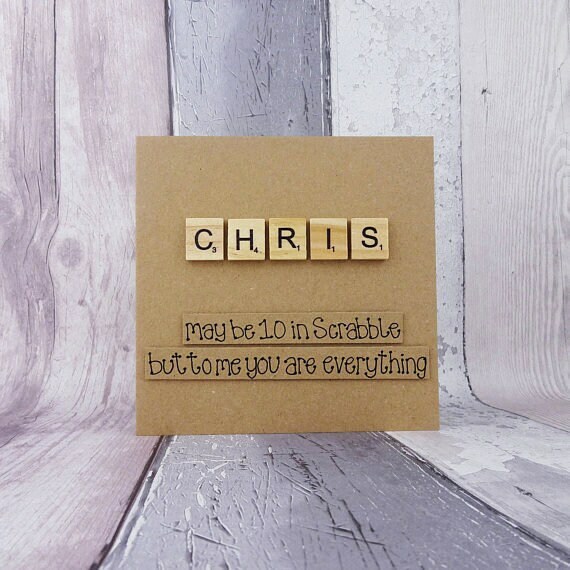 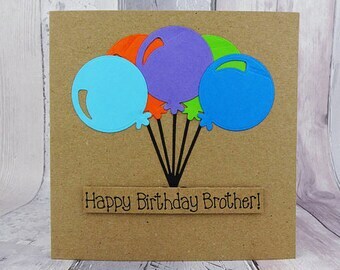 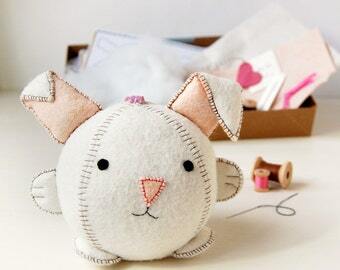 Please add the name you would like added to the card in the 'Notes to Seller' section at checkout. 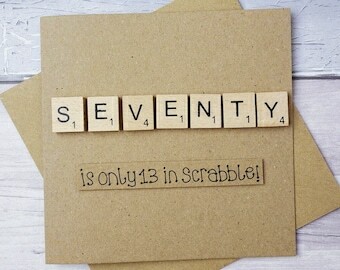 This card can fit a name with up to seven letters.